Henry VIII’s last will and testament is one of the most intriguing and contested documents in British history. Given special legal and constitutional significance by the 1536 and 1544 Acts of Succession, which allowed Henry to nominate his successor in his last will, it is exceptional among English royal wills. For Henry VIII, the monarch so renowned — or notorious — for remarrying in pursuit of a male heir, the succession was his abiding obsession until the very end. Maybe that was a bit boring for you, but it was fascinating to me. It feels good to be back in Tudor history. I’ve had my eye on this book for a while, too! I’ve already read another book by the same author and was very impressed by it, so, of course, I’m looking forward to this one. Last year, I read 1536 (the link takes you to my Goodreads review because we didn’t have this blog then) by this same author where she gives a very close analysis of a single year that definitely was a turning point in Henry VIII’s reign. I already have pretty solid beliefs about certain areas in that year but I was very impressed that Lipscomb actually managed to change my mind or to broaden what I thought about it. 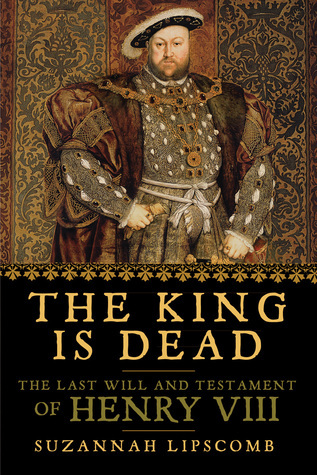 I can’t say if I’d recommend this book (yet) but I know I’d tell someone who wants a close analysis of a specific point in Henry VIII’s life to turn to her, whether it’s a whole year or his final days. She’s choking me. She’s really in there, fingers on cartilage, mashing my trachea and I can’t breathe, Maria thinks. She truly can’t breathe, but she can’t bring herself to care. There was a time in her life when this was new, when she was at least as hot for being choked as Steph was for choking her, but now they’ve got an apartment together -a cat, good lighting- and Maria can’t even muster a shiver. These first lines stood out to me so much that I continued reading. That’s what first lines should do. They should capture your attention and as a result, you want to keep reading. From the first lines of this book, you know that there is going to be a lot of brutal honesty. While it’s not in first person perspective, I feel it’s likely that we are going to know all of Maria’s truths which I’m frankly excited about. I’m always happy to know what characters refuse to tell others around them. Also, this book is queer and it’s about time I read a queer book again. Maria, the main character in this book is trans and I don’t feel I read enough about trans characters. Somehow I hadn’t heard about this book until a queer booktuber was talking about it. So, naturally I jumped on it and I look forward to reading it soon.